China's Cosco Shipping Ports and PSA Corporation signed a memorandum of understanding (MoU) for the addition of two new berths at the Cosco-PSA Terminal in Singapore.With the launch of the two new berths, CPT will be equipped with five mega-vessel berths, increasing its annual handling capacity from 3 million TEUs of the current three berths to about 5 million TEUs.The new berths will strengthen CSP’s presence in Singapore and support the needs of Cosco Shipping group with the advent of mega-vessels and megaalliances in the shipping industry. Port and terminal operator PSA International posted a 5.1 per cent jump in net profit to S$1.23 billion for the year ended 31 December 2017 on higher revenue and container throughput at its terminals worldwide. 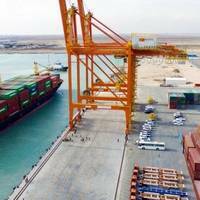 The Group’s terminals saw a 9.8% year on year increase in box volumes handled to 74.2m teu. PSA’s flagship Singapore Terminals contributed 33.35 million TEUs, increasing 9.0% over 2016. 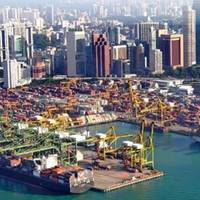 PSA terminals outside Singapore delivered a total throughput of 40.89 million TEUs, increasing 10.4% over 2016. PSA Group revenue rose 7.8% and profit from operations grew 5.0% compared to previous year. 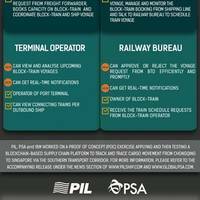 Singapore’s Pacific International Lines (PIL), port operator PSA International, and technology giant IBM Singapore have concluded a successful blockchain trial, having signed a memorandum of understanding in August 2017. Following the signing of the MOU, the companies worked on a Proof Of Concept (POC) exercise, built on IBM Blockchain Platform, applying and then testing a blockchain-based supply chain platform to track and trace cargo movement from Chongqing to Singapore via the Southern Transport Corridor. 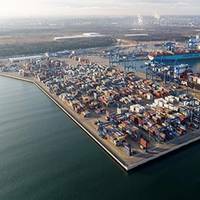 India's biggest container traffic handler Jawaharlal Nehru Port (JNPT) has achieved yet another milestone in its ambitious journey to become a world class maritime hub when the Prime Minister Narendra Modi laid the foundation stone for the fourth container terminal, proposed to be developed at an estimated cost of Rs. 7915 Crores (USD 1.23 bln) on DBFOT basis. Modi arrived at the JNPT Helipad- accompanied by the Maharashtra Governor Ch. 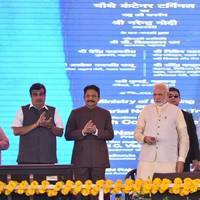 Vidyasagar Rao, Union Minister of Shipping, Road Transport & Highways Nitin Gadkari, the state Chief Minister Devendra Fadanvis and other dignitaries. 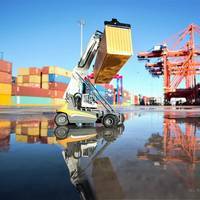 Bharat Mumbai Container Terminals Pte Ltd (BMCT), a wholly owned subsidiary of PSA International Pte Ltd (PSA), exercised its option to purchase a further 18 Konecranes Noell Rubber Tired Gantry (RTG) cranes. This order follows upon an initial order for 18 RTG and 4 RMG cranes that will be delivered by the end of this year. The 18 RTGs currently on order will be delivered in two lots: 9 units will be delivered by August 2018, and the remaining 9 by end-2018. At this time BMCT will operate a total of 36 Konecranes Noell RTG cranes and 4 Konecranes Noell RMG cranes. 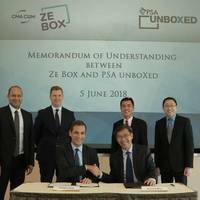 The CMA CGM Group and PSA have kicked off the second phase of their container terminal joint venture in Singapore. Officiating the event were François Hollande, President of the French Republic, and Khaw Boon Wan, Coordinating Minister for Infrastructure and Minister for Transport, Singapore. The CMA CGM - PSA Lion Terminal (CPLT) started operations with two mega container berths at PSA Singapore’s Pasir Panjang Terminal 5 (PPT 5) that had an initial annual capacity of 2 million TEUs (twenty-foot equivalent units) in July 2016.